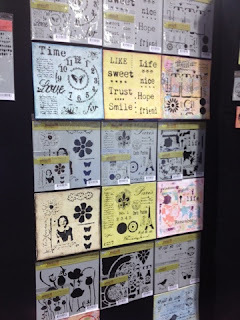 It will be an half day in fact, because the show stops at 2PM today. 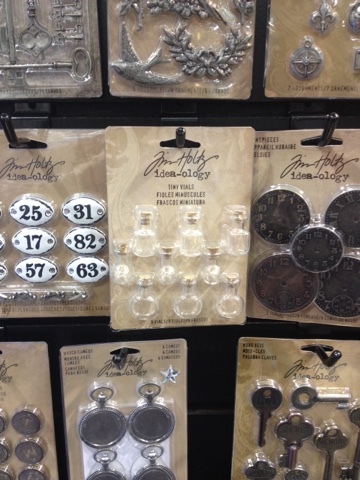 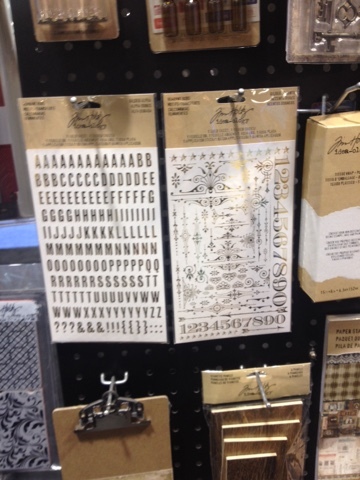 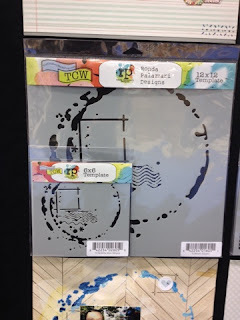 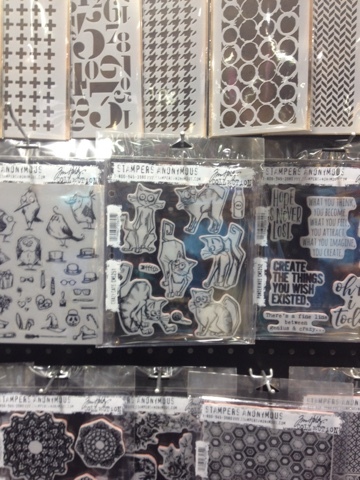 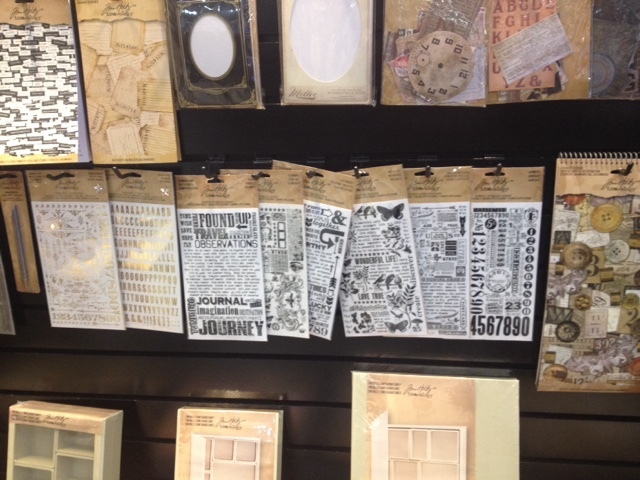 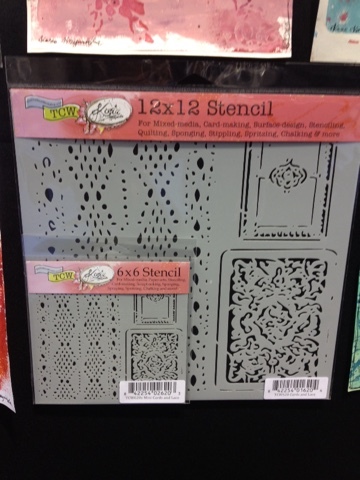 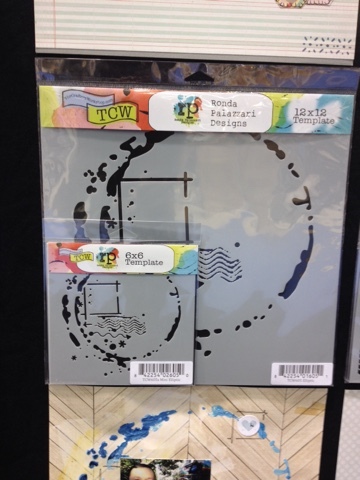 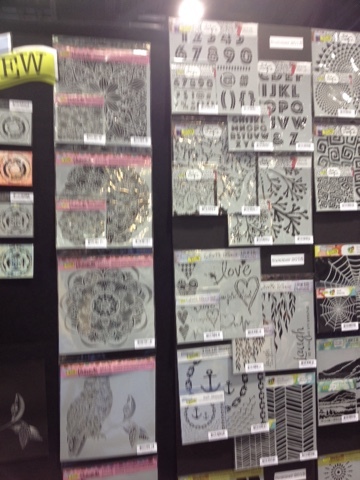 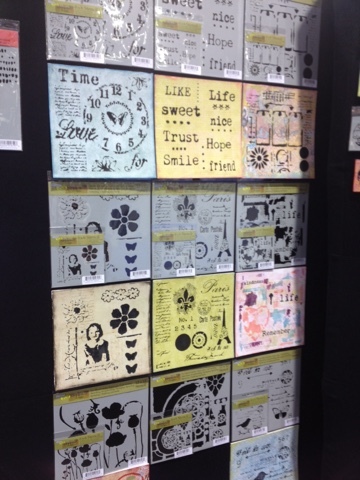 After that I went to the Idea-ology booth, very tempting for a crafter... 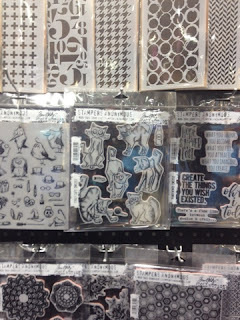 I saw the new crazy cats stamps and rub-ons (God I love rub-ons) ! very nice embellishments too...can you spot the tiny round bottles ? 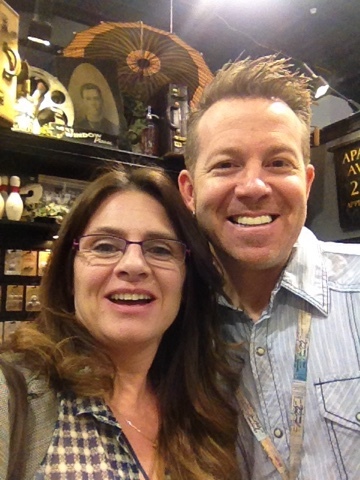 and of course my own selfie with Tim Holtz the Great !